I’m always looking for more free ways to promote small businesses, and by free, I include the requirement to be non-time consuming. If it takes you eight hours to get something, it’s not free. 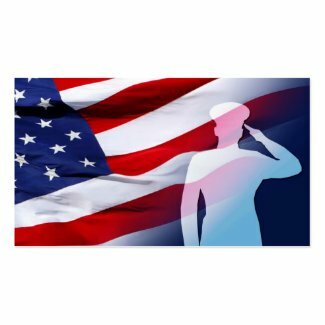 If you are a Veteran and own a business (a Vetrepreneur), you can list your business in the Veteran Owned Business Directory in less than ten minutes. The VOB directory was established by the National Veteran-Owned Business Association (NaVOBA). Recently there has been emphasis by news media to assist and recognize Veterans beyond yellow ribbons and verbal praise. Much of the recent publicity has been on hiring Veterans and their military spouses, but choosing to shop with Veterans is another venue of support. The VOB Directory helps Veteran businesses gain exposure, and also, encourages the public to Buy Veteran. New customers will find you by searching the directory by subject keywords. This search results in a list of Veteran Owned Businesses (VOBs) across the USA. New customers can find you when they search by zip code to locate local businesses. Vetrepreneurs can upgrade their free listing by paying a $3.99 monthly membership fee. This membership provides you with a website certification badge and a subscription to Vetrepreneur Magazine (formerly known as Veterans Business Journal). If you are not a Vetrepreneur, you can still subscribe to Vetrepreneur Magazine to read all the business ideas and success stories within. You may also be interested in a book focused on Vetrepreneurs. “I highly recommend this book to the 3 million plus Veteran Owned Business Owners out there. Veterans start a new business 4 times the rate of anyone else and it’s about time some one spoke our own language…” Read more of this Amazon reviewer’s comments and more about VICTORY: 7 Entrepreneur Success Strategies for Veterans.